from your Altru, Raiser's Edge, Raiser’s Edge NXT, Fundly CRM, Neon CRM, Versai or other Membership System. MuseumAnywhere is a Blackbaud Cloud Technology Partner and Versai Technology Partner. Member simply puts in his info on phone and family cards are brought onto the device. eMembership Card is smart. It knows what to do as its renewal date approaches. eMembership Cards can be pushed to Apple Wallet. eMembership cards solution generates digital Memberships Cards on members’ phones from Altru, Raiser’s Edge, Versai or any other membership system. 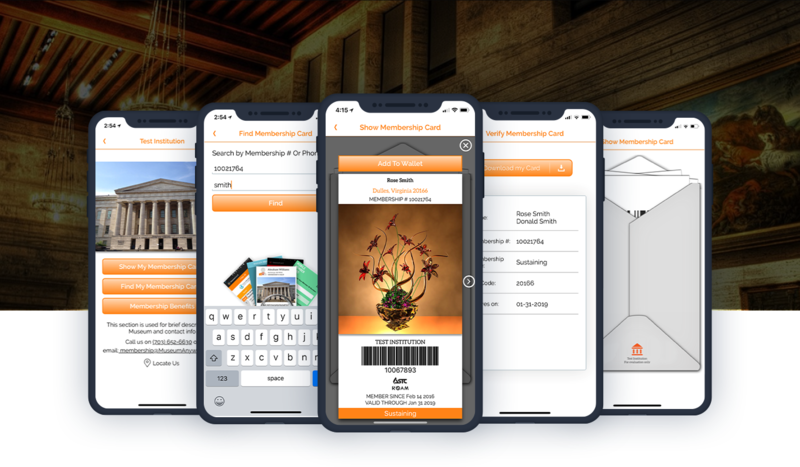 We have built integration connectors that extend capabilities of your system to generate digital Membership Cards. 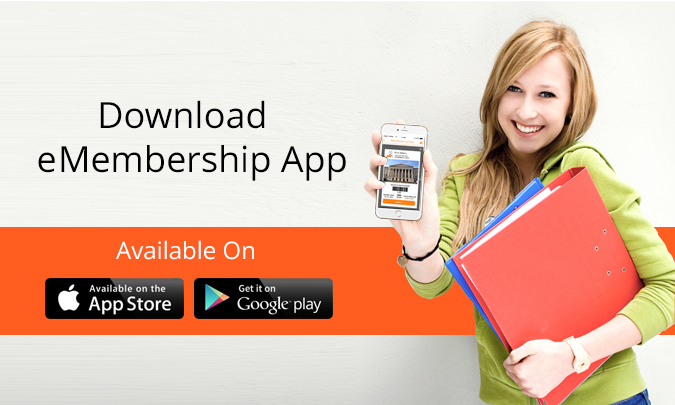 We can also add eMembership card to your existing Mobile App. 1. Reduced work for Membership staff. 2. Cut down mailing expense for reminders and cards. 3. Quick electronic-delivery of new cards. 4. Save recurring costs of printing, separating, matching with letter, stuffing. 5. Prompt renewals save you even more money with less reminders to send. 6. Less checks to deal with. No change in your process. Renewals still happen within your membership system We even have a module available to push notifications related to events and exhibitions to keep members even more engaged.